I have a electrical schematic in visio that i'm trying to parse for data to display in another program. 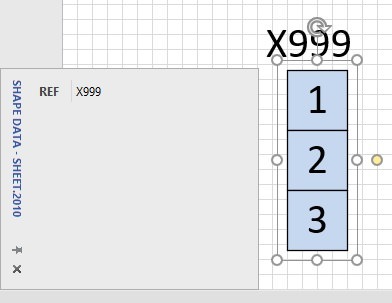 I unzip the visio file and parse the XML pages for data fields. My problem is that in a certain case the data field will not be stored in the shape XML data, but it's still visible in Visio so the information must be somewhere but i can't find it. The other problem is that this only happends when the data field value is "1", any other value seems to work fine. This is a typical connector in the schematic, it consists of 3 Pins that are grouped together, it has a Data field called REF that is called out to the label above it. 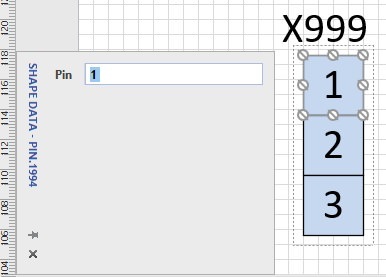 Pin 2 and 3 both have a <Property> field with the "Pin" data field and the Value for that field. But Pin 1 does not have this data. When i look up the data field now Pin 1 has a <Property> field and you can see the "Pin" Value which is "1 "
Does anyone here know why the value disappears or where the information is saved? Shape.1994 is a grouped shape. Could the data be in one of the sub-shapes? 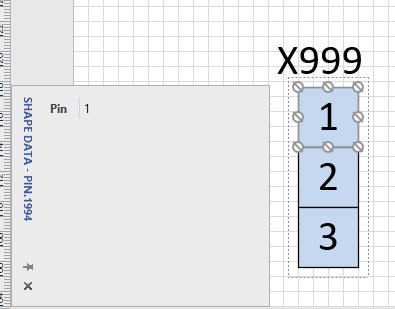 No, that's just the blue background, the text callout from the "Pin" data field and one more shape that i don't really know what it is, seems related to the text callout, but none of them has a <Property> field. 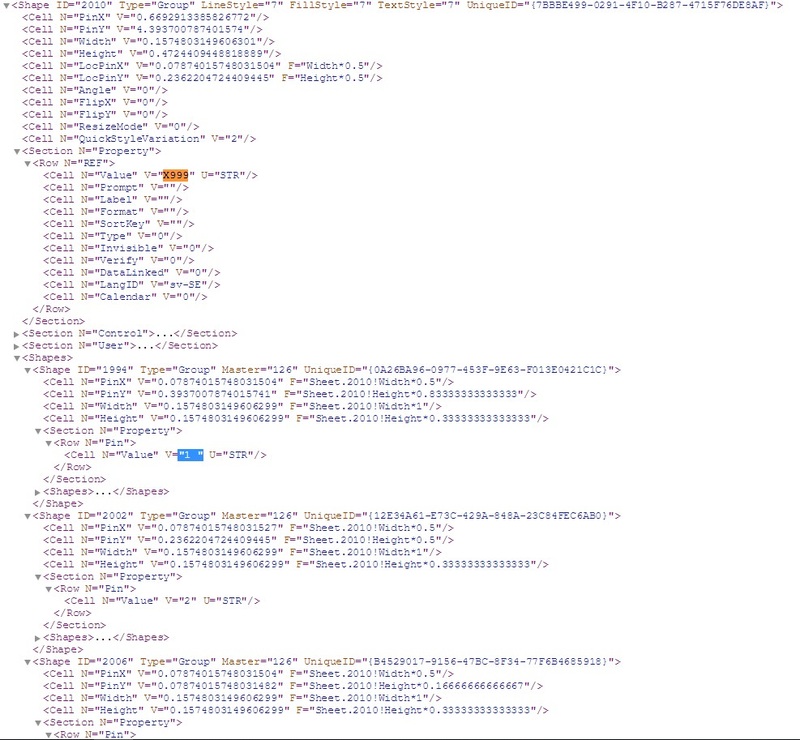 As you can see i changed the data field back to "1" and the <Property> field dissapeared. Maybe master 126 has a value of 1 and is it inherited? Does not seem like it, i can't find a <Property> field in the master document either. I also noticed that when the value is filled in correctly there's a lot more information in the shape. I changed it back to "1 "
I assigned the value 2 to the master. Now on the page is missing 2, but there is 1. In addition, if you look at ShapeSheet, then in one of the shapes, the Value cell will be marked with color as inherited, and with the rest, the color of the new value will be used. I can't really find it in the master at all. 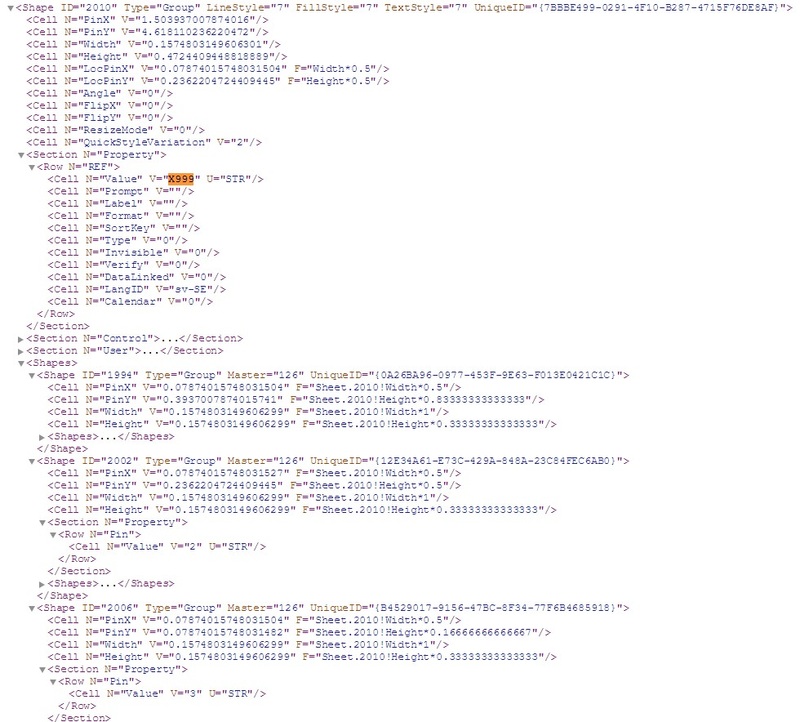 The information about the text callout is there but nothing about the data field "Pin" which is what my program is looking for. <Cell N='Value' V='1' U='STR'/>Put your file (vsdx) here. Remove from there all but one shape (group). Here's the first shape in the master. After this part there's the next shape ID 6 and then 7, 6 is the text callout.